Agustín Lara; Cesare Andrea Bixio; Consuelo Velázquez; E.A. Mario; Eduardo di Capua; Enrico Toselli; Ernesto de Curtis;... Very Good. In very good packaging. 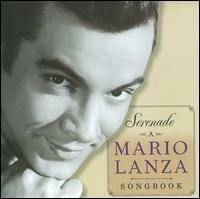 Lanza, Mario-Serenade-A Mario Lanza Songbook by Lanza, Mario. Fine. Nearly New! FREE TRACKING/DELIVERY CONFIRMATION ON ALL ORDERS! ! Ships Safe, Secure, & Fast! 100% MONEY BACK GUARANTEE! FREE TRACKING/DELIVERY CONFIRMATION ON ALL ORDERS! ! Ships Safe, Secure, & Fast! 100% MONEY BACK GUARANTEE! Still in the plastic.